The ultimate trajectory of the spiritual life is Heaven, and great spiritual writers have constantly pointed out the value of meditating on the “Four Last Things” – Death, Judgment, Heaven and Hell. 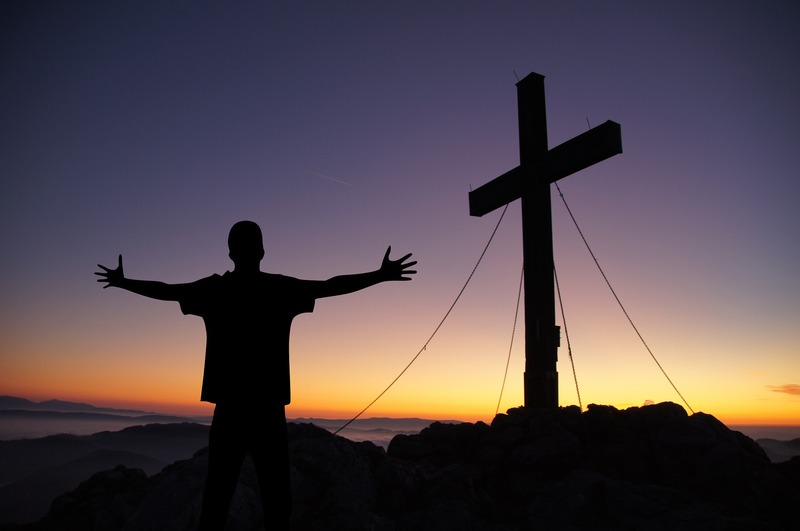 Here we are in Lent, and our Lord’s sufferings remind us that he has merited for us a simply stunning inheritance that will lead to an eternity of happiness. This eternity is as close as death’s doorstep, and who knows when our next step will lead us into that Eternal Life? I think it is interesting that in Saint Mother Teresa‘s mystical life the Virgin Mary told her to tell families to say the rosary (reference: Come Be My Light, Doubleday, p.99). 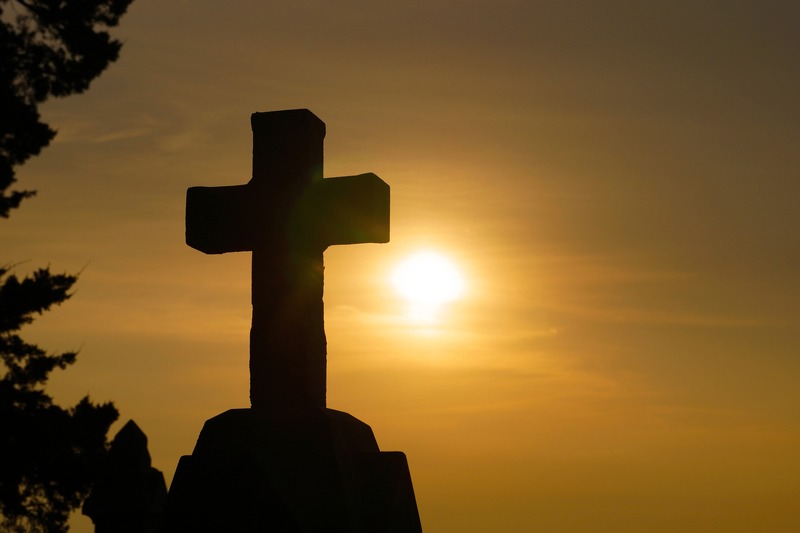 This prayer not only helps us to contemplate the life of Christ, including his death and resurrection, but it continually reminds us of the two most important moments in our lives – the present moment and the moment of our death. We ask Mary to “pray for us now and at the hour of our death.” It is in the “sacrament of the present moment” that we can choose to conform our will to God’s grace, and it is at the moment of death that we need all of Heaven (that great cloud of witnesses, Hebrews 12:1) interceding for us to persevere to the end. It is important to pray for the grace of final perseverance and for the fortitude to die a good death. It is reassuring to know that we are asking Mary’s help in this regard when we pray the rosary. “For whoever would draw near to God must believe that He…rewards those who seek Him” (Hebrews 11:6). Inspiration: The Imitation of Christ; The Spiritual Exercises of Saint Ignatius of Loyola; and F.W. Faber’s The Creator and the Creature (from where I derive the title to the note and I am otherwise heavily indebted to him for the tone and content of the note; it is Faber who mentions that our next step may be the one into eternity). Saint Mother Teresa of Calcutta was canonized by Pope Francis on September 4, 2016! Since first writing this post nearly a year ago the crisis over Amoris Laetitia has only deepened and accelerated, and among those who view the papal exhortation as a “paradigm shift” in Catholic morality some are even invoking the document to the point of suggesting or implying that it might be permissible to approve of or bless homosexual unions in the Church (and it is not hard to anticipate that this idea will gain further momentum under the Amoris rationale). The whole idea seems to be that – through a process of discernment – otherwise intrinsically evil acts can be justified and seen as good in God’s eyes (see AL 301-303, for instance). Just in the last several weeks I have read reports about a Vatican commission studying the possibility of modifying Humanae Vitae, of a Jewish member of the Vatican Academy for Life discussing possible exceptions that would justify abortion in special circumstances, and, of course, the continuing drama involving Cardinal Marx’s nuanced remarks pertaining to the possibility of blessing homosexual unions (regarding the blessing of such unions Marx said, “This I really have to leave up to the local pastor and the accompaniment of that person”). It should be noted, as a recent article by Maike Hickson pointed out, that Bishop Franz-Josef Bode, the Vice President of the German Bishops’ Conference, “has called for a discussion about the possibility of blessing homosexual relationships. He believes there to be ‘much [that is] positive’ in such relationships.” Of course, if the Pope simply said “this blessing is not possible,” as he most definitely should have a long time ago, the laity could be spared all the confusion and harm to the faith that results. Just a few days ago I was reading that Cardinal Gerhard Müller, whom Pope Francis removed as Prefect for the Congregation of the Doctrine of the Faith, “rejects the notion of a ‘paradigm shift’ in Church teaching.” The article from CWN adds: “In an unusual public disagreement among prominent cardinals, the former prefect of the Congregation for the Doctrine of the Faith takes issue with the use of a term (“paradigm shift”) that was used by the Secretary of State, Cardinal Pietro Parolin, with reference to Amoris Laetitia. 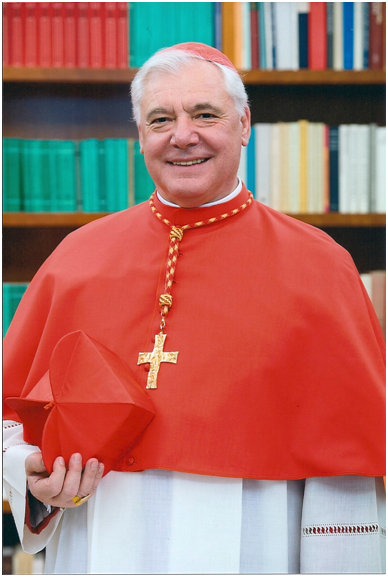 Cardinal Müller says that term ‘seems to be a relapse into a modernist and subjectivist way of interpreting the Catholic faith’.” Frankly, the phrase “paradigm shift” seems to be a euphemism (or code words) for “new teaching” or, one might contend, good old-fashioned heresy (as Cardinal Muller seems to be implying). Here in the United States Cardinal Cupich has begun conducting conferences for Bishops on the implementation of Amoris Laetitia (and Cardinal Cupich is fond of saying that Amoris Laetitia favors a more “mature,” conscience based morality – that is, he favors the subjectivist approach to Catholic morality). And a well known papal consultor gave a talk here in America (at Boston College) where he maintained there are no longer any moral norms (Father Antonio Spadaro, who said: “It is no longer possible to judge people on the basis of a norm that stands above all.”). There are many more examples I could give of this fundamental assault on Catholic moral principles that have guided the Church for two-thousand years. The question therefore deserves to be asked: Is the Catholic Church on the brink of destroying its own morality? The basic premise of the short outline below is that the minor chastisement prophesied at Fatima will coincide with the introduction of heresy into Church teaching. Situation ethics was strongly condemned by Pope John Paul II in Veritatis Splendor, yet we see the dangerous framework of this subjectivism in Amoris Laetitia (see 301-303), and the surge flowing therefrom to radically change Catholic morality by the approval of intrinsically evil acts. Does the Church think that God is going to remain passive during this planned and orchestrated attack on Catholic morality, which is so contrary to the moral imperative of the Fatima message and the constant teachings of the Church? 13. It is not my job to suggest whether a particular teaching constitutes material or formal heresy. Rather, I feel called to point out that Amoris Laetitia is profoundly at odds with Saint John Paul II’s great encyclical on moral theology, Veritatis Splendor, and that the ultimate trajectory of Amoris Laetitia would lead to a dramatic reformulation of Catholic morality, allowing those in so-called “irregular unions” access to the fullness of the faith which the Eucharist is (thus essentially creating an end-run around the infallible doctrine of the Church that those in mortal sin are prohibited from receiving the Eucharist). In the end, then, the whole system of Catholic morality would be rendered optional. If this be the case, then Amoris Laetitia would represent a profound rejection of traditional, orthodox Catholic morality. 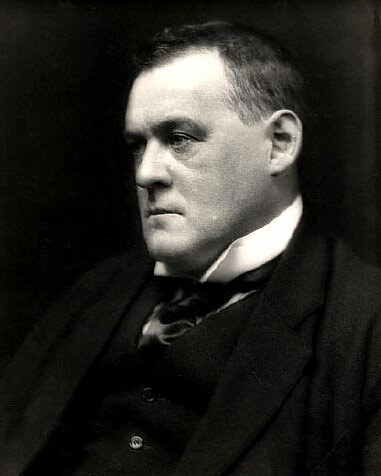 The “quarrel” we are in right now, says Belloc, “is between the Church and the anti-Church – the Church of God and the anti-God – the Church of Christ and the Anti-Christ.” Atheism thus represents the forces of the anti-God, and according to Belloc “the modern attack is far more advanced than is generally appreciated.” Even at the time he lived Belloc could say that “the mood of the faith has been largely ruined,” and that “we have already arrived at a strange pass” where the opponents of the Catholic Faith simply do not understand the Catholic Church. From this predicament, Belloc predicts that a new “paganism” will emerge that tends more towards cruelty than enlightenment. Here we are some 80 years after Belloc wrote The Great Heresies, and his points regarding the “Modern Attack” on the Catholic faith seem spot on. What concerns me most – as we witness firsthand the breakdown of the Catholic faith in the Western world – is the growing tendency of the Catholic Church in many quarters, and even at very high levels, to align itself in certain ways with movements that seem to be under-girded by the advance of atheism – movements like the LGBT movement and the Global Warming movement. The LGBT movement could not have risen to its present heights without the general breakdown of religion in the culture and the repudiation of the natural law (and the repudiation of the natural law represents an attack on God’s sovereignty and Divine revelation). I don’t think anyone would deny that there has been a certain push within the Vatican to make gay unions more acceptable to the Catholic consciousness, as in the Pope’s famous “Who am I to judge” comment, and in his tacit support for the legal recognition of gay unions (but not marriage). Most recently, Vatican adviser, Father James Martin, has been prominently in the news advancing an agenda which seems to call on the Church to reverse its condemnation of the practice of homosexuality, and one of the Pope’s top advisers, Cardinal Marx, has insinuated the possibility of blessing gay unions in the Church (the perceived difficulty here with the Church, then, leans to the “LG” side of the movement). And the Global Warming movement is no doubt closely aligned with the culture of death. There is – it cannot be denied – an alliance between the Global Warming movement and the culture of death. The Global Warming movement is full of high-ranking members (apart from the Church) who see human population as something that needs to be dramatically reduced – by contraception and abortion – in order to save the planet. The culture of death is an anti-God culture. The Vatican, itself, has shown a certain infatuation with speakers at its conferences who advocate radical population reduction policies – not that the Vatican itself in any way endorses abortion rights. However, there is a rumbling within the Vatican walls (by some) to moderate Humanae Vitae and approve of contraception (and one wonders if this development comes under the influence of global warming concerns?). The Church, in this way, makes itself more vulnerable to be engulfed by secular ideologies that threaten to distance it from the teachings of Jesus Christ and the Sacred deposit of faith entrusted to it. 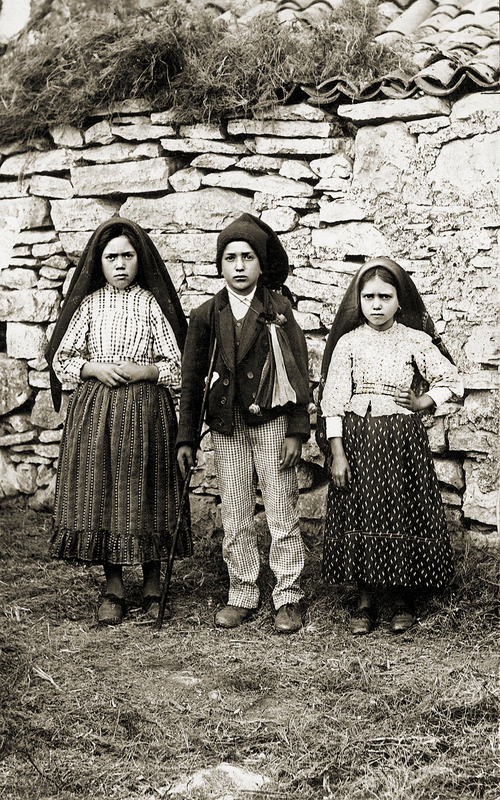 Fatima was a warning about atheism and its devastating consequences for society by the spreading of its errors. We are on the threshold of a new paganism, or it may even be the case that we have entered the era of the new paganism. The key characteristic of this era is that it is atheistic – that is, anti-God. The Church itself seems drawn into some of the currents of this movement, and seems even perturbed at those members who resist. Atheism will destroy the Church. Our foundation is God and His commandments. References: The quote from Pope John Paul II was made when he was a Cardinal during a visit to the United States in 1976. Pope John Paul II spoke of “the confrontation between the culture of death and the culture of life” in his encyclical, The Gospel of Life. Spiritually speaking, I think it is very useful to review Catholic social justice principles because – quite frankly – we have in our fallen human nature a strong tendency towards selfishness. These social justice principles help to remind us of our duties and obligations toward our neighbor based on the Christian virtues of justice and charity. We are under a profound obligation – as Christians – to love and care for our neighbor. The social justice teachings of the Catholic Church are rooted in biblical principles and expounded most particularly in the encyclicals of the modern popes beginning with Leo XIII (1878-1903), continuing with Pius XI (1922-1939), John XXIII (1958-1963), Paul VI (1963-1978), John Paul II (1978-2005), Benedict XVI (2005-2013) and through to Pope Francis (2013- ). The social doctrine of the Catholic Church developed in response to the rapidly changing economic conditions brought about during the last two hundred years by the advent of capitalism, communism and socialism. The Catholic Church does not appear to advocate, per se, any definite political-economic order (see, however, CCC 2425), but instead offers moral guidance in the form of doctrinal principles for the purpose of establishing a just economy. Although my list is certainly not exhaustive (and there are many other principles no doubt applicable to a broader social context than economic justice), I believe the Catholic church in its tradition has formulated the following doctrinal or ethical principles relative to (or at least bearing upon) the formation of a just economy: the principle of the dignity of the human person and the sanctity of human life; the principle of the universal destination of goods; the principle of the common good; the principle of the priority of labor over capital; the principle of preferential option for the poor; the principle of subsidiarity; the principle of commutative justice; the principle of solidarity; and, most recently, the the duty to care for the environment/planet. The Catholic Church has always taught that every person has a unique and special dignity in light of the fact that he or she was made “in the image and likeness of God.” Every person therefore bears the imprint and dignity of God. This truth has profound social implications, for to ignore one’s neighbor’s plight is essentially the equivalent of ignoring God. Jesus puts this concept in a positive light: “As you did it to one of these the least of my brethren, you did it to me” (Mt 25:40). In a social context, therefore, due to each person’s intrinsic dignity and sanctity, he or she is entitled to certain basic human rights which, in an economic context, would include, in the words of Pope John XXIII, “the means which are necessary and suitable for the proper development of life. These means are primarily food, clothing, shelter, rest, medical care, and finally the necessary social services” (Pacem in Terris, 11, 1963). 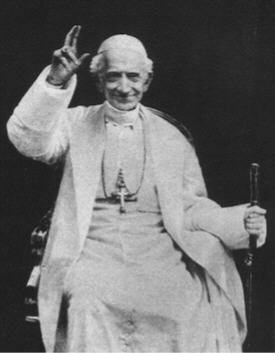 Moreover, Pope Benedict XVI, in the encyclical, Charity in Truth, elaborates on the “strong links between life ethics and social ethics, ushering in a new area of magisterial teaching that has gradually been articulated in a series of documents, most recently John Paul II’s Encyclical Evangelium Vitae.” Pope Benedict further states: “The Church forcefully maintains this link between life ethics and social ethics, fully aware that ‘a society lacks solid foundations when, on the one hand, it asserts values such as the dignity of the person, justice and peace, but then, on the other hand, radically acts to the contrary by allowing or tolerating a variety of ways in which human life is devalued and violated, especially where it is weak or marginalized’ “ (Caritas in Veritate, no. 15). The United States Conference of Catholic Bishops adds: “The Catholic Church proclaims that human life is sacred and that the dignity of the human person is the foundation of a moral vision for society. This belief is the foundation of all the principles of our social teaching.” In conclusion, the dignity of the human person, created in the image and likeness of God, is the “bedrock” principle of Catholic social justice. The doctrine of the universal destination of goods is rooted in the concept that God intended all people to share in the goods of this world. This is a basic concept and does not imply repeal of private property rights or the need for socialism. Nor does it imply that every person is entitled to an equal or identical amount of goods. It does imply, however, that it would be unjust to hold back from a person the basic necessities of life such as food, shelter and clothing. As stated by the Vatican II Council in the document Gaudium Et Spes, “We must never lose sight of this universal destination of earthly goods. In his use of things, man should regard the external goods he legitimately owns not merely as exclusive to himself but common to others also, in the sense that they can benefit others as well as himself. Therefore every man has the right to possess a sufficient amount of the earth’s goods for himself and his family” (Section 69). As the United States Catholic Bishops said: “Distributive justice requires that the allocation of income, wealth, and power in society be evaluated in light of its effects on persons whose basic material needs are unmet.” See CCC 2402. The Catechism of the Catholic Church states that “the human person needs to live in society. Society is not for him an extraneous addition but a requirement of his nature. Through the exchange with others, mutual service and dialogue with his brethren, man develops his potential; he thus responds to his vocation (Section 1879).” Thus, “in keeping with the social nature of man, the good of each individual is necessarily related to the common good …. ” (Section 1905). Therefore, “the common good requires the social well-being and development of the group itself. Development is the epitome of all social duties. Certainly, it is the proper function of authority to arbitrate, in the name of the common good, between various particular interest; but it should make accessible to each what is needed to lead a truly human life:food, clothing, health, work, education and culture, suitable information, the right to establish a ·family, and so on” (Section1908). The common good does not subordinate the importance of individuals; to the contrary, in the words of Vatican Council II, “the common good is always oriented to the progress of persons … not the other way around” (Gaudium et Specs, 25). This is a term which is associated with liberation theology; it was formulated by the Latin American bishops during a meeting in 1968. In the Catechism of the Catholic Church the phrase is slightly modified and defined as follows: “Hence, those who are pressed by poverty are the object of a preferential love on the part of the Church which, since her origin and in spite of the failings of many of her members, has not ceased to work for their relief, defense, and liberation through numerous works of charity which remain indispensable always and everywhere” ( Section 2448). There can be little doubt that some liberation theologians would object to this definition, since liberation theology represents an attempt to change the structural forces in society which oppress the poor, but no matter what the case, the phrase clearly calls Christians to be particularly concerned for the needs of the poor. See “Instructions on Certain Aspects of the Theology of Liberation” by The Congregation for the Doctrine of the Faith (and approved by Pope John Paul II). “It is indeed true, as history clearly shows, that owing to the change in social conditions, much that was formerly done by small bodies can now a days be accomplished only by large organizations. Nevertheless, it is a fundamental principle of social philosophy, fixed and unchangeable, that one should not withdraw from individuals and commit to the community what they can accomplish by their own enterprise and industry. So, too, it is an injustice and at the same time a grave evil and a disturbance of right order, to transfer to the larger and higher collectivity functions which can be performed and provided for by lesser and subordinate bodies. Inasmuch as every social activity should, by its very nature, prove a help to members of the body social, it should never destroy or absorb them. The state authority should leave to other bodies the care and expediting of business and activities of lesser moment…. The principle of commutative justice requires a fair exchange of goods or services between contracting parties. In a social justice context, this means that unfair contracts, obtained by the unequal bargaining powers of the respective parties, have social implications. The principle of commutative justice therefore obligates an employer or a business owner to see how the business and financial agreements they enter into impact the community of people around them. A “good deal,” therefore, implies an arrangement that both benefits the business entity and the community. See CCC 2411. This principle recognizes the fact that we are all related to each other as children of God. In an economic context, this means that we have an obligation to help each other out and to be concerned with the economic welfare of all people and not just isolated groups of people or particular states or nations. Solidarity implies mutual interdependence among people in community and among the nations of the world. See CCC 1939-42. In his encyclical, Laudato Si, Pope Francis spells out the duties and obligations of the human family to care for the planet in an environmentally sound way. Here are two important quotes from the document: “But a sober look at our world shows that the degree of human intervention, often in the service of business interests and consumerism, is actually making our earth less rich and beautiful, ever more limited and grey, even as technological advances and consumer goods continue to abound limitlessly. We seem to think that we can substitute an irreplaceable and irretrievable beauty with something which we have created ourselves” (#34). “Education in environmental responsibility can encourage ways of acting which directly and significantly affect the world around us, such as avoiding the use of plastic and paper, reducing water consumption, separating refuse, cooking only what can reasonably be consumed, showing care for other living beings, using public transport or car-pooling, planting trees, turning off unnecessary lights, or any number of other practices. All of these reflect a generous and worthy creativity which brings out the best in human beings. Reusing something instead of immediately discarding it, when done for the right reasons, can be an act of love which expresses our own dignity” (#211). Aware of the power of Christianity to renew even cultural and social realities, the Church offers the contribution of her teaching to the building up of the human community by bringing out the social significance of the Gospel. At the end of the nineteenth century, the Church’s Magisterium systematically addressed the pressing social questions of the time, creating “a lasting paradigm for the Church. The Church, in fact, has something to say about specific human situations, individual, and communal, national and international. She formulates a genuine doctrine for these situations, a corpus which enables her to analyze social realities, to make judgments about them and to indicate directions to be taken for the just resolution of the problems involved” (no. 521). Note: Most of these Catholic social justice principles have a much broader application than the contexts, definitions, or examples used in this note. The Catholic Church recognizes three important rights in the context of economic activity: (1) the right to private property; (2) the right to make a just profit; and (3) the right to economic initiative (see CCC 2403, 2429 and 2432). References: The quotes selected from Laudato Si were in Kevin Cotter’s summary of the encyclical. Sensitivity can be like a virtue, as in a mature sensitivity to sin, or as in sensitivity to those in need of emotional or material help. A sensitivity to the inspirations of the Holy Spirit is a pathway to great holiness. But in this note we are addressing over-sensitivity as a hindrance to spiritual growth and well-being. We are talking primarily about superficial wounds that should have been healed a long time ago, but wounded feelings gave a seemingly small hurt a much longer life than it deserved as it was magnified, day in and day out, completely out of proportion to the harm it should have caused. Hopefully, we will find a remedy to this problem! Oh those wounded feelings – we give such power to them to become much more than they ever should have been! A great spiritual writer of keen psychological insight, F.W. Faber, states that oversensitivity manifested in wounded feelings “is the secret cause of one-half of the disedifying inconsistencies of religious people. It rules us more powerfully than any of our passions. It absorbs our character into itself, until it alone almost becomes our character.” He adds: “We behold every day into what depths of incalculable meanness it can plunge” otherwise “affectionate hearts” (Spiritual Conferences, p.230, as edited). “Sensitiveness affects us in various ways. We imagine offense has been intended where it was never dreamed of. It constructs entire imaginary histories upon what is often no foundation at all . It magnifies and exaggerates things. It puts the wildest construction upon innocent actions. It throws a monstrous significance into a catch phrase, and then broods upon it for years. Our mind is crowded with suspicions. We are hardly able to distinguish between what is shadow and what is substance. We forget God. We give shadows the power to harm us. We grow moody and bitter. Now, what grace, what conceivable Christ-like thing, can grow in such an atmosphere as this” (pages 233-34, as edited)? This “morose brooding” over our wounded feelings can become “almost incurable.” The judgment is “burned into our mind” that this person has been so unkind that we simply cannot forgive him. “We have now gone very far. We have come in sight of hatred. It is possible now for us to hate. These “ugly developments of our sensitiveness” must be overcome. We must get this “ruin out of the way” (pages 234-35, as edited). The first step toward the healing of oversensitivity would seem to be an honest recognition of all the harm oversensitivity is causing in our life, together with a strong desire to overcome it (or to moderate it). In modern psychology the recognition of distorted thinking patterns is essentially curative. Our conscious thoughts, when exaggerated or magnified, become distorted and this can become the source of much unhappiness – especially for an oversensitive soul. When we learn to check these distortions, essentially keeping them down so to speak, we are on the road to recovery! This proper management of our thoughts, this “cognitive therapy,” is very helpful. Father Faber, who lived well before the advent of cognitive behavioral therapy but seemingly anticipated its value, urges us to suffer bravely in this mortification of oversensitivity. He says: “There is abundance to mortify in all this. We must be very unsparing of ourselves. A touch will not cure the matter. We must hold the caustic firmly, and press it hard, and keep it long on the place….” We must overcome “the quickness to feel an unkindness” and the “subtlety which causes us to fancy unkind intentions when there were none.” Further, “we must check ourselves sharply whenever we have caught ourselves brooding on the matter [in our mind]” (pages 236-37, as edited). References: I am relying primarily on Father Faber’s essay, “Wounded Feelings,” in Spiritual Conferences (TAN Books). The essay is about thirteen pages long.